It makes economic sense to help the homeless. So says Chris Lund of the Johannesburg Homelessness Network (JHN). “We want residents to see that there is more value in investing in job creation centres for the homeless than in building higher walls,” he says, “We want to pilot inclusionary neighbourhoods. We all share the need to be safe and secure.” Lund has worked with homeless people for the past 25 years. The JHN is a new voluntary association which mobilises resources to increase the quality and quantity of services to homeless Joburgers. 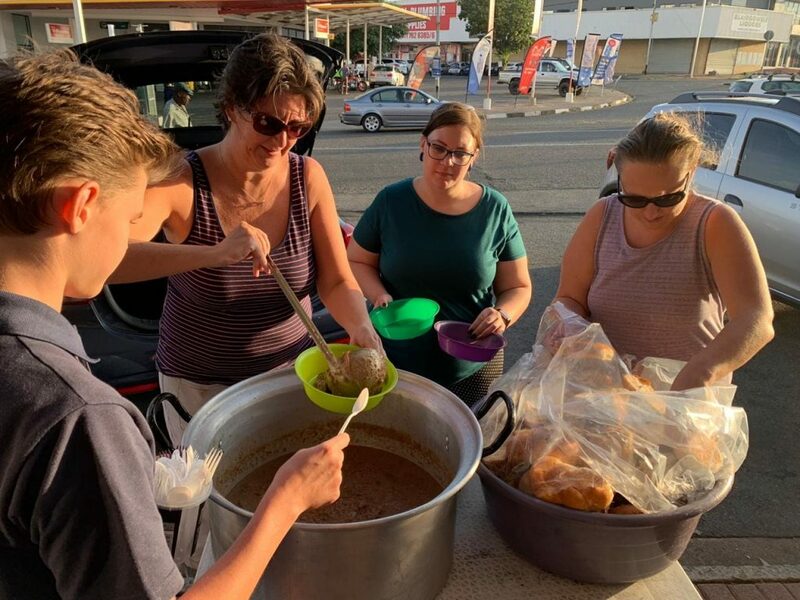 It strives to connect citizen volunteers, non-governmental and faith-based organisations, researchers, and government departments in an effort to raise awareness and support to the homeless. The JHN has a number of partners: the Christian empowerment NGO MES (mould, empower, serve), the Johannesburg Organisation of Services to the Homeless or Josh, Wits University, the Homeless Writers Forum, the Holy Trinity Church in Braamfontein, the Rosebank Homeless Association, the Fountains for the Thirsty in Linden, Homeless Talk, and the Johannesburg Inner City Partnership (JICP). “In the context of limited resources there is a really great opportunity to work in partnerships to develop solutions. This creates a space to test things out and learn what may work,” says Matt Jackson, a member of the steering committee of the JHN. Based on global averages, it is estimated that the homeless community in Joburg consists of between 8 000 and 20 000 people in a population of over 4 million people. No research has been undertaken in the city to establish accurate figures. Worldwide the problem is growing – in most major cities homeless people can be seen begging and sleeping on the streets. Cape Town is diverting its law enforcement budget to bolster shelters and services to the homeless. What people need to consider is the cost to them of crime and increasing security on their streets and in their homes, says Lund, a board member of the JICP. That needs to be balanced against the cost of caring for the homeless in their suburbs. “This is the point of the JHN – to look at the various challenges homelessness puts people under and ask how various people in a position to act could use their resources to creatively develop new approaches,” adds Jackson. Lund talks of an “exchange of value” where the homeless provide services like informal recycling to a community. This is already happening in Norwood, where the community changed their mindset from one of looking on the homeless in Paterson Park as a nuisance, to seeing them as people who were providing a mutually beneficial service, in this case as wastepreneurs. He suggests that a community could come together to rehabilitate an unused park or nature hike, which has become overgrown or unsafe, to start “the delicate dance of integration”. “While for some the park represents an opportunity to take a well-earned walk at the end of the day, for others it may provide an opportunity to put their talents to good use and rehabilitate this space for the good of the whole community.” They could also get involved in neighbourhood watch systems, suggests Magondo. “Emerging approaches range from ‘safe spaces’ in public parks, under bridges and on sidewalks as has been introduced in Cape Town,” explains Jackson. These engagements could work to make “homeless people value-adding members of the communities they already live in and this establishes not only their rights to live there but creates the support from the other community members to ensure they are able to live in those areas”. Long term this could create integrated communities where suburbs would create opportunities for homeless people who are interested in becoming part of the community, for the greater good of all. The JHN recently adopted its constitution and has as one of its first goals to pilot an inclusionary neighbourhood project. This will involve researching a neighbourhood, finding a potential exchange value project, then securing citizen and political support. The desired outcome will involve obtaining a site to create a multi-function facility. The JHN also plans to create an online homelessness hub. The network hopes to strengthen linkages between non-governmental organisations and faith-based organisations. The association also wants to sign a memorandum of understanding with the City of Johannesburg. Lund is confident of working with the City and getting them to agree to the use of their office buildings as overnight shelters and service centres. He is also hoping to get the City to provide funding to build shelters, and to increase its budget for its social development department to aid the project. Homelessness is a countrywide problem but perhaps exacerbated in Joburg because, according to executive mayor Herman Mashaba, some 3 000 people enter the city each month to find a place to live and work. The World Bank and the World Economic Forum indicate that South Africa is the most unequal country in the world. He says there are pockets of concerned citizens and volunteers, in suburbs like Linden, Norwood, Bryanston and Rosebank. The Linden group, called Fountains for the Thirsty, holds regular soup kitchens for the homeless. JHN’s plans require buy-in from the local improvement districts, ward councillors and local residents’ associations. Too often the “Ward 88 approach” is used, where the homeless and their goods are roughly removed, and they are told to move on. Instead, the JHN hopes to create an “inclusionary neighbourhood zone”.